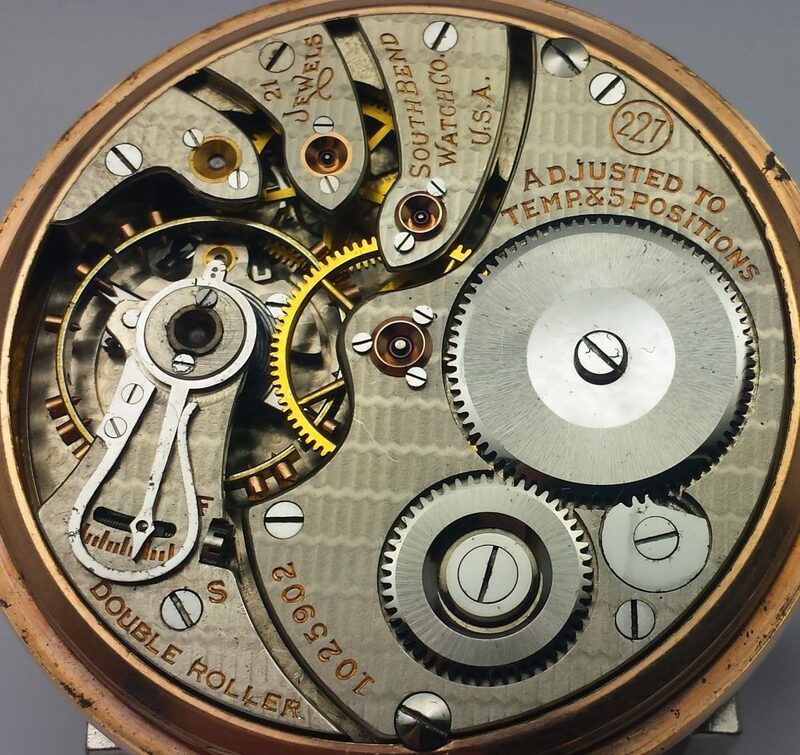 Bridge model; Nickel; lever set; 21 fine ruby and sapphire jewels; Dial – double sunk, glass enamel ground edge dial. Cupped, beveled and polished winding wheels. Micrometric nut and screw regulator. Gold center wheel. Gold balance screws. Double roller escapement. Steel escape wheel. Sapphire pallet stones and jewel pins. Adjusted to temperature, isochronism and five positions. Tested on half time without hair spring. Nicely damaskeened. Open Face. Lever set. First run – 1909, last run – 1929. Total production 46000.